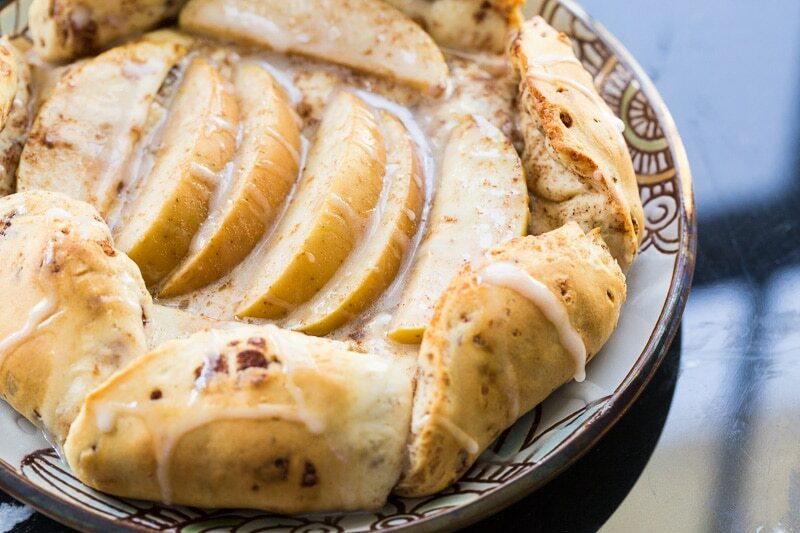 This cinnamon roll apple galette is a fun twist on the traditional French galette, using cinnamon roll dough wrapped around apples. This recipe was sponsored by Pillsbury. Galettes are one of those aspirational food items that frequently grace the pages of fancier food magazines. In that sense, the galette in question may appear to be slightly intimidating. Too much je ne cais quoi, I suppose. But the truth is that galettes are actually one of the easier desserts to pull off. Don’t believe me? Watch the video. Less complicated than a pie, yet still maintaining all the benefits of a pie, the galette is attainable by all. In essence, a galette is simply a crust that is partially wrapped around a filling. In many cases, it’s a fruit filling, but savory galettes do exist. For today’s recipe, I’m swapping out the traditional pie crust of the galette with a crust made of cinnamon roll dough. I may get arrested by the food police for assault on culinary tradition with intention to bake, but I’m willing to take that risk. 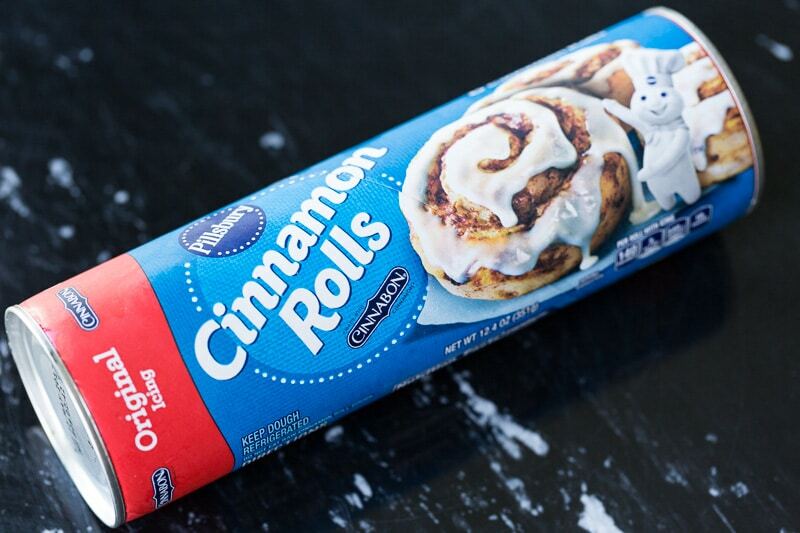 To keep things quite simple, I’ll be using Pillsbury Cinnamon Rolls that I picked up at Walmart. 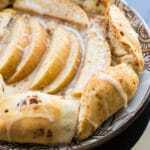 Using Pillsbury Cinnamon Rolls makes it easy to throw together this galette for any gathering. In springtime, that might mean an Easter party, a brunch, or a even a spring birthday. Saving time means having more time to spend how you want. 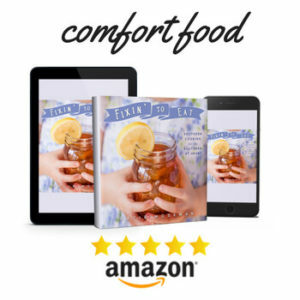 Kick back with the family, or grab a good book and plop yourself down on the couch. Or run around in the fresh spring air. The sky’s the limit. Over the years, I’ve put a lot of thought into which type of apples to use for the cinnamon roll apple galette filling. In fact, I tested a dozen kinds of apples to figure what was the best apple for apple crumble. My conclusion was that the absolute best apples for baking are Honeycrisps, followed by Pink Lady and Fuji. These varieties are pretty widely available, but if you have a tried and true local apple that you want to use, by all means, do so. 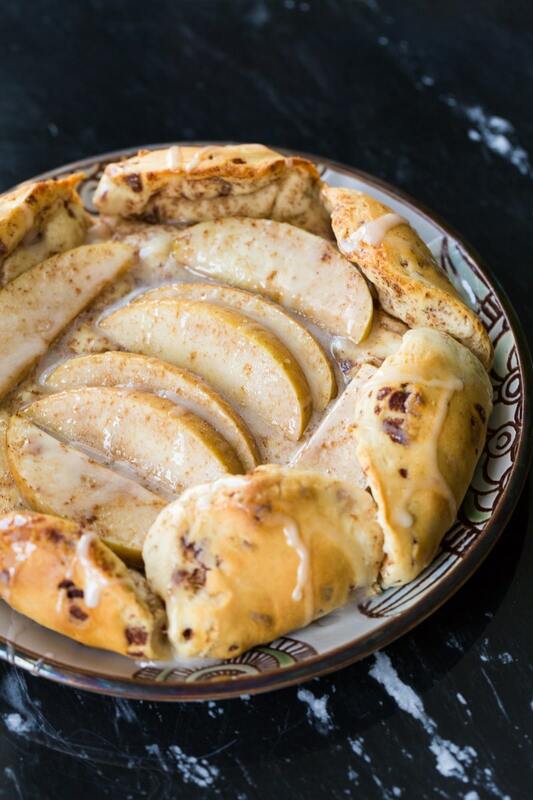 Be sure to bookmark and share this cinnamon roll apple galette recipe for all your upcoming good times and gatherings! 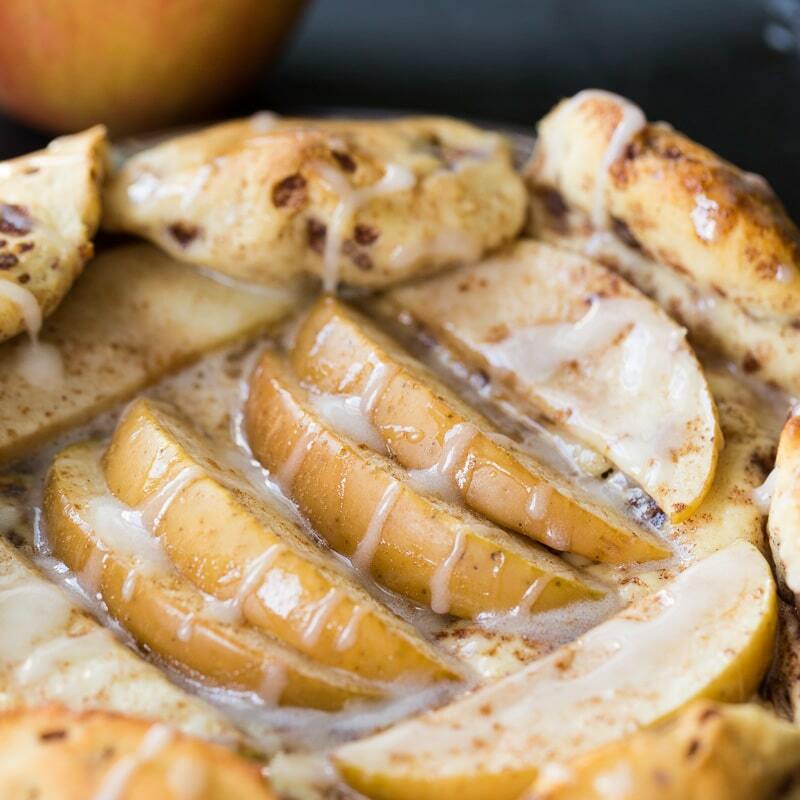 This cinnamon roll apple galette is a fun twist on the traditional French galette, using cinnamon roll dough wrapped around apples. 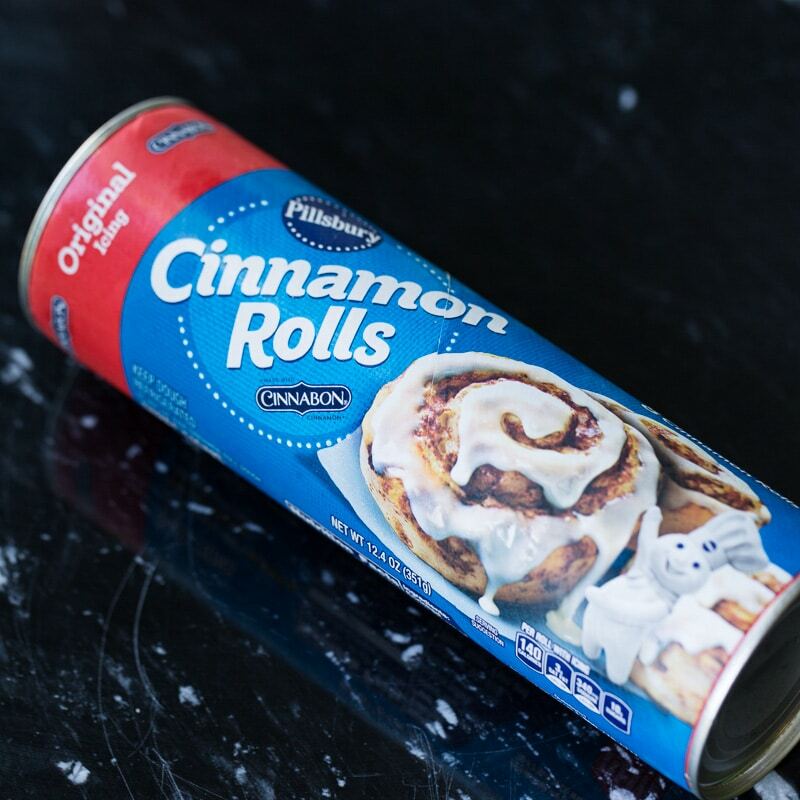 On the parchment paper, lay out the 8 cinnamon roll dough pieces. Start with one in the center, then arrange the rest around it. Squish the dough down with your fingertips until all the pieces are joined together in a flower-like shape. Make sure the seams are sealed. Arrange the apple slices. Put 4 in a row across the center, then put 1 slice with the rounded edge facing outward at the top, bottom, and both sides of the 4 central slices. Fold the edges of the cinnamon roll dough over the outer ring of apples and pinch the edges together to seal the seams. Bake for 15 minutes, or until the crust is golden brown. Let cool slightly, then warm the icing included with the rolls and drizzle it over the galette. Serve immediately. 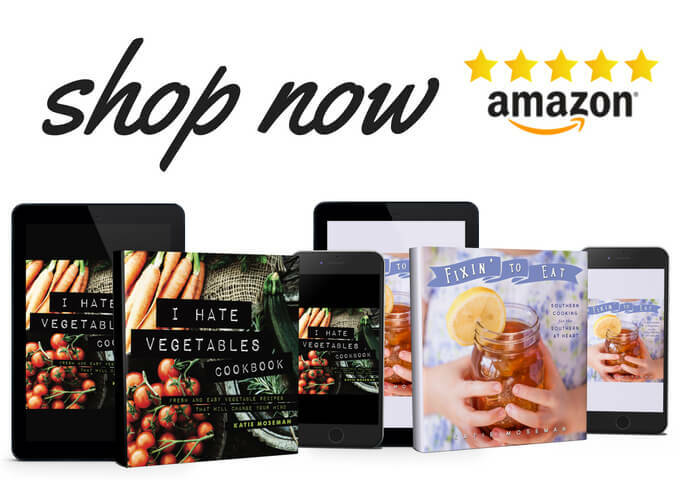 Get more inspiration from #EasterwithPillsbury and Walmart! Oh man, I am drooling over here. This sounds ah-mazing!!! yum. This soo good I love cinnamon rolls. I’ve had them in so long I might have to try out this recipe! This looks absolutely tasty and love the recipe too. It looks quite easy to follow and will definitely try this during the Easter holidays. Oh man this looks so good! It would be perfect for a Sunday morning brunch! Mm, this looks amazing. I’ll have to make this for my husband sometime. He loves cinnamon and apples. 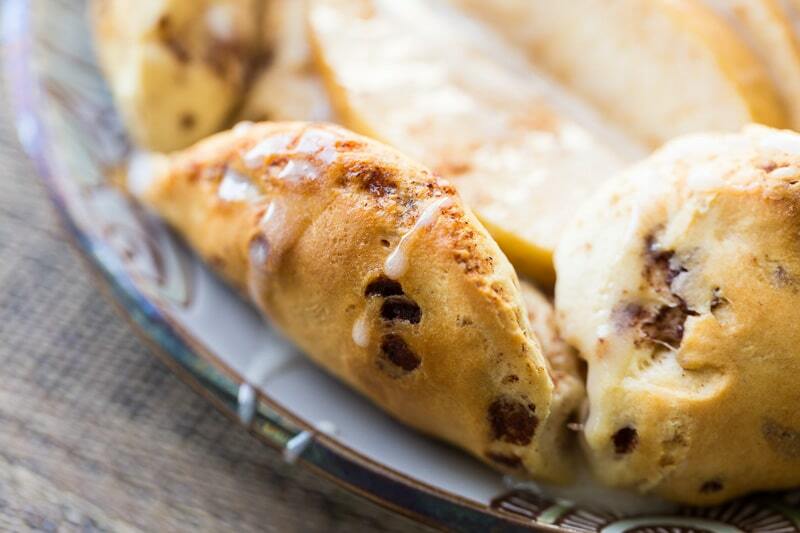 This looks like a delicious (and perfectly simple) dessert that can be pulled together in a flash – a single mom’s favorite kind! Thanks for sharing it, and for making it seem so foolproof. Looks absolutely delicious! I’m so going to make this! This looks delicious and super easy! I need to try this for my kids! 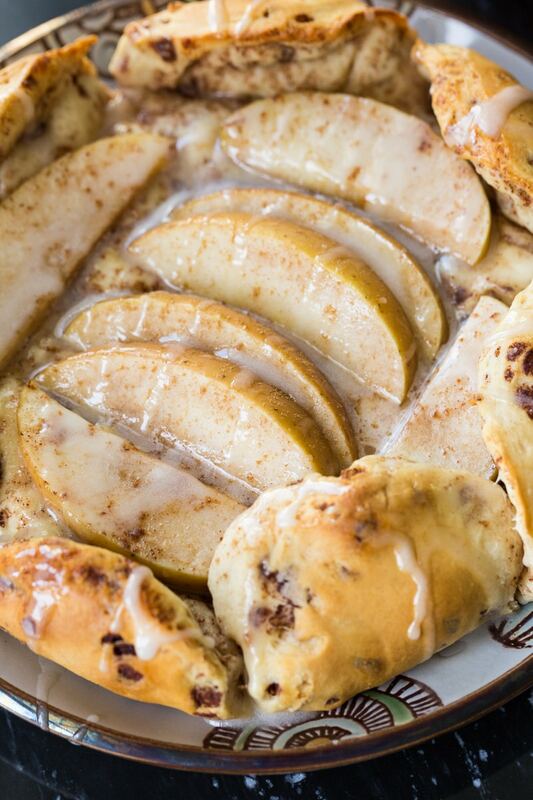 Yum, cinnamon and apples are one of my favorites! This dessert looks super easy to make and delicious, I definitely have to try this out one of these days. It does look amazing. And both my daughter and I love apple desserts. In fact, we make homemade applesauce all the time. It’s almost the only way my daughter will eat it now. Oh yum this looks so nice! I may just make this for brunch on Sunday! This looks absolutely amazing! I also like how you’ve included the nutrition facts. I’m a chronic label reader and it’s pretty cool to know when you want to make something. Oh, wow! This looks and sounds amazing! Easy, too. I will definitely have to try this. I don’t think I’ve made galette before. It does sound a little intimidating especially if you don’t bake at all. I’d love to keep the recipe! I would love to try this recipe. It will definitely make my husband happy! We both love apples and cinnamon rolls, what more if they’re both in the recipe. My mom is coming this weekend so it would be a good time to try this. I love anything with apples, and cinnamon rolls. I’m sure we’ll really enjoy this. 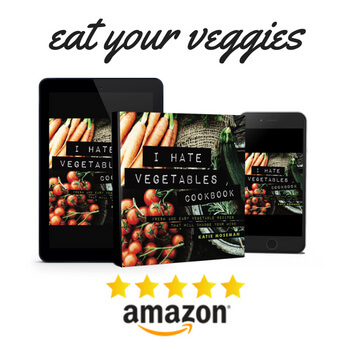 I’ll share your recipe to my Mom, she will love it, and I love her cooking. Thanks for sharing this yummy recipe. I would definitely love to give it a try this weekend.